Recorded in celebration of their 30th(!) anniversary of adding beauty to the world and creating political change, this album features 18 brand new songs. I've got myself a new mantra." 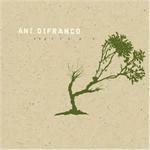 Ani DiFranco shares on her new studio album. "It says "Don't forget to have a good time.'"